ADR offers many different general and specialised cleaning services to Property Managers, Strata Managers, Facility & Client Services Managers and also direct to the general public. With many years experience providing specialised restoration services to the Insurance industry ADR is perfectly suited to provide similar services to the domestic and commercial Real Estate industry. From a basic vacate clean to decontaminating sterile environments, you can “Rest Assured” that ADR is prepared to provide the necessary services. 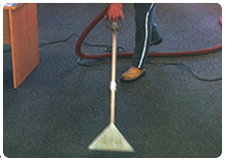 ADR has experienced carpet cleaning technicians to conduct specialised stain removal services as well as providing general carpet and hard floor cleaning. ADR is equipped with powerful tools for the restoration of driveways, paths and paved areas. 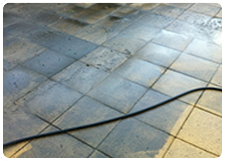 We can remove dirt, oil, grease, mould, moss etc to bring your hard outdoor surfaces back to near new condition. 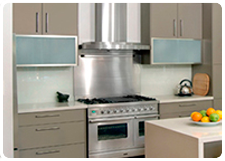 ADR has experienced restoration technicians prepared to professionally clean kitchens, bathrooms and laundrys including ovens, range-hoods, shower screens etc. 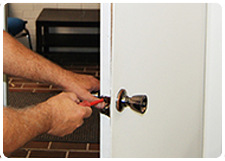 ADR’s service staff have the know how and skills to professionally repair just about any damage around the house such as, holes in walls, doors rehung, door or cupboard handle repairs, fly screens repaired etc. ADR provides services to restore your garden back to it’s former glory. 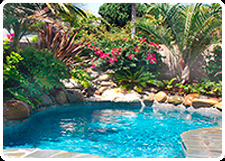 We can also provide a complete pool restoration service to those that may not have maintained their pool adequately for some time.